Meet our dedicated, caring and friendly Calgary dentists! Our dentists are committed to providing you a positive and comfortable experience every time you visit the Go Dental office. Dr. Tuma has been a general dentist for over 20 years. He obtained his BDS degree from the Faculty of Dentistry at the University of Baghdad/Iraq in 1992. After 10 years working there, he moved to work another 5 years in the United Arab Emirates. He finally settled in Canada, where he received his second dental degree (DDS) from the Faculty of Dentistry at the University of Dalhousie in 2013. He has been recognized by the American Association of Endodontics with several awards. Dr. Tuma is a well-rounded dentist and provides all aspects of dental treatment to his patients. His treatments range from complex extractions and root canals to cosmetic dental work. He is also experienced and licensed in providing oral and inhalation sedation that can help nervous patients to get more relaxed and comfortable. When he is not at the Go Dental office, Dr. Tuma indulges in calligraphy and painting. He also applies these detailed and imaginative talents to dentistry, creating genuine pieces of art. Dr. Tuma speaks English and Arabic. He and his wife, Naliya, are happily raising their two lovely boys. They all enjoy travelling, swimming, reading and many other outdoor activities. Dr. Charanpreet Kahlon takes pride in offering a personalized and friendly patient care experience and believes in building long lasting relationships with her patients. She is determined to give you the smile you want. She received her Bachelor of Dental Surgery from India in 2005 and then moved to the United States. She later obtained her Doctor of Dental Surgery degree from New York University College of Dentistry. She moved to Calgary in 2010 and is a member of the Alberta Dental Association. While she is a general dentist, Charanpreet really enjoys working with patients that require root canals or crowns, restorative dentistry, pediatric dental services, and Invisalign®. She performs oral and inhalation sedation to help make nervous and anxious patients feel more relaxed and comfortable. She strongly believes in patient education and personalized discussions. In her free time, Charanpreet is active and loves to spend time outdoors biking, hiking, playing tennis, and enjoys travelling with her husband and 2 young kids. She also speaks Hindi, Punjabi, and has understanding of Urdu. Dr. Hussein Amery is our resident removable denture specialist with over 25 years of experience in the areas of complete, partial, and implant-retained dentures. He is a proud native Calgarian, having completed his undergraduate studies through the Universities of Alberta, Athabasca and Calgary. Dr. Amery also completed his denturist diploma at the Northern Alberta Institute of Technology [NAIT] and has been an active member within the profession over the years, having served as a provincial examiner in Alberta, as well as an international denturist educator and examiner through George Brown College in Toronto. Currently, he is on the board of the Denturist Association of Alberta and is the editor of the National Denturist Journal and a board member of the National Curriculum Advisory Committee. He has been a board member of the former Alberta Denturist Society. He also holds master’s and doctoral degrees in psychology from California. Hussein is a firm believer in giving back to the communities in which we live and as such has also been an active volunteer, lecturer and board member for several non-profits and international charities. For his efforts, he has been recognized with several citations including the Alberta Medallion and Alberta Civil Liberties Award. Hussein is also fluent in Arabic. Dr. Jerry Thomas graduated in 1991 and then went on to do his Masters in dental surgery in 1994. After graduation, he furthered his studies and training at the University of Alberta Hospital in Edmonton, completing the multidisciplinary general residency (GPR) from 1995 to 1997. Dr. Thomas continued at the hospital, teaching advanced clinical dentistry to the new GPR residents from 1997 to 2010, during which time he was Assistant Clinic Director of the hospital dental program and an Associate Professor at the U of A dentistry program. During this time, he maintained his clinical practice at the hospital treating complex pediatric, geriatric, medically compromised and emergency dental patients both under local and general anesthesia. He has been to parts of Africa on mission trips to deliver treatment to the much needed communities there. Dr. Thomas is a member of the Alberta Dental Association and College and the Canadian Dental Association. He has a strong passion for dental surgery whether it is simple or difficult extractions, complicated wisdom teeth surgery and dental implants. He is certified in providing oral conscious sedation for patients who might need a bit of extra TLC. He takes pride in providing the best dental care in an ethical, comfortable and caring manner. Staying abreast of the latest trends and advances in dentistry is very important to him. 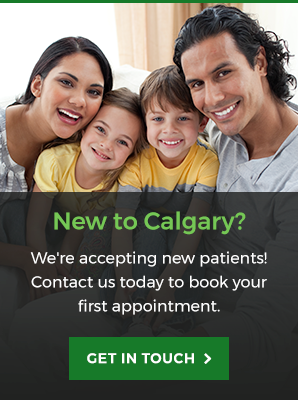 To schedule an appointment with one of our dentists, contact our Calgary office today!